It is pretty important about what scents I use for my soap. I don't want to smell a scent all day, however mildly, if it is an aroma I don't like. 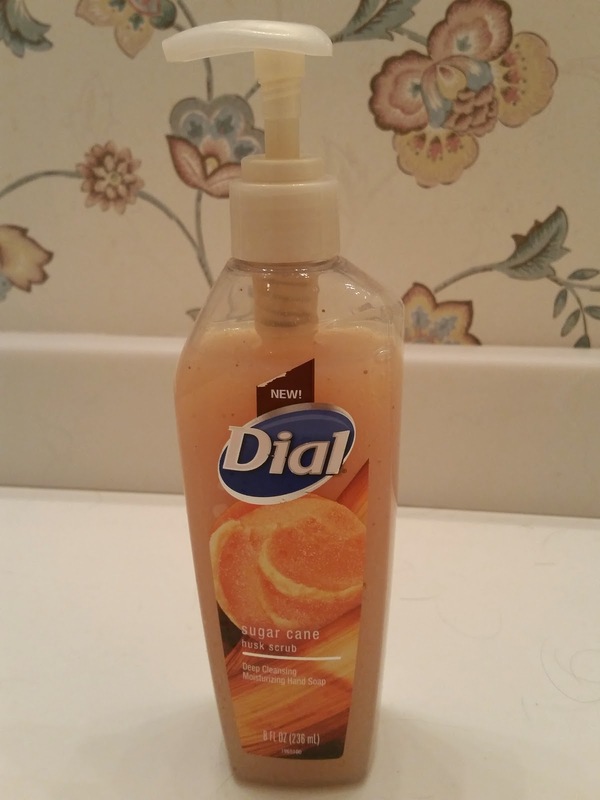 The Sugar Cane Husk Scrub Hand Soap from Dial happily falls into the category of scents I do like. The soap smell reminds me of the aroma of a sugar cookie that you get when you wash your hands and face with the product. The soap itself has a bit of a grit and comes in an 8 ounce bottle. The grit comes from what they call gentle micro scrubbers. The soap feels a bit upscale, definitely much better than the foaming soap we more typically use. Given the "upscale" feel of the soap, we'll leave the foaming soap for our son and outside the master bath. He might like the smell himself, but he's more tactile than others and doesn't like change. Me, I like the moisturizing effect in addition to the cleansing. After our brutal winter weather, my hands are in sad shape. 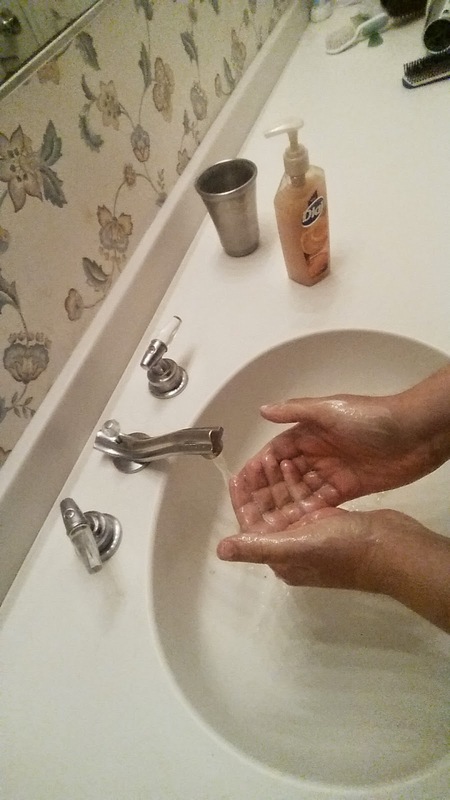 This should help revitalize them without needing a separate moisturizer, not that I would use a separate moisturizer, which is part of the reason they are so rough. 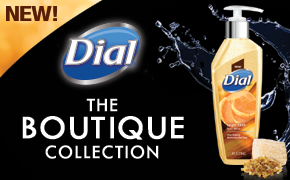 Look for the new Dial Sugar Cane Husk Scrub Hand Soap at your favorite Dial retailer! The other scents that will be available are yellow raspberry (and black sugar), water blossoms, and coconut lime verbena. Be sure to follow Dial on Facebook, Twitter, and YouTube for new product information, giveaways, coupons, and more! Now for the giveaway. 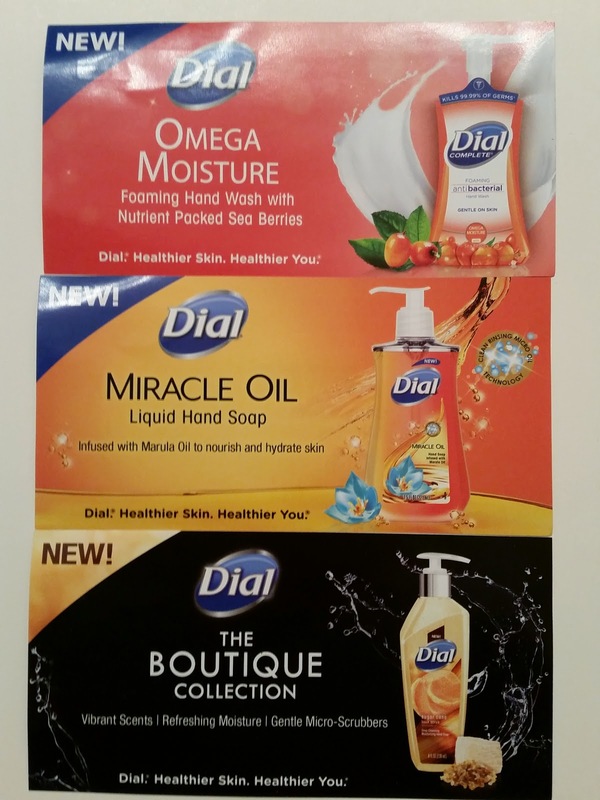 There are three coupons for free Dial products available. The giveaway is for one person to win all three. The giveaway ends on 4/19/15 at 11:59 pm EDT and is open to all US residents who are 18+ . The water blossoms scent sounds interesting to me. Thanks! The coconut lime verbena sounds like one I would really like the scent of. The Coconut Lime Verbena really interests me!!!! Sounds great! I would love the Water Blossoms scent! I love the Coconut Lime Verbena,it sounds like the scent is heavenly! I would love to try the others too so I can make a fair final decision since they all sound wonderful. I think I would like the water blossoms scent the most. I would like to try the Yellow Raspberry & Black Sugar the most. Yellow raspberry & black sugar for sure!!! I would want to try the water blossom scent. I would try the Sugar Cane Husk. Yellow Raspberry & Black Sugar is the one I want to try the most. All three of them sound really great, the water blossoms one might be my favorite. The yellow raspberry black sugar scent sounds like something I would like. The scents that interest me the most are the Spring Water® With Moisturizer and the Deep Cleansing Water Blossoms Hand Soaps. I think I would like thd Water Blossoms would be the fragrance I would like to try first. All the scents sound like they would smell good. The Yellow Raspberry & Black Sugar sounds amazing! I'd like to try the Coconut Lime Verbena! The Yellow Raspberry & Black Sugar scent interests me the most. I like Coconut Lime - it sounds interesting. I think the sugar cane husk soap would be the best! I am most excited to try the Water Blossoms scent from Dial. I'd like the water blossooms; thanks for having this giveaway! I want to try the Water Blossoms. I would like to try out the water blossoms. I would want to try the water blossoms. The Sugar Cane Husk interests me the most. The coconut lime verbena interests me the most. The Water Blossoms scent sounds nice. The sugar cane husk I would love to try. I would love the water blossoms scent. Sounds great. The coconut lime verbana and the yellow raspberry and black sugar are my two favorite scents. Coconut Lime Verbena sounds nice. Thank You for the giveaway… we love citrus scents, so the coconut lime verbena would be on our list to try ! The Water Blossoms scent interests me the most!